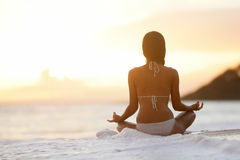 Relaxing - Yoga woman meditating at beach sunset. 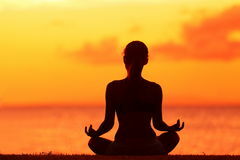 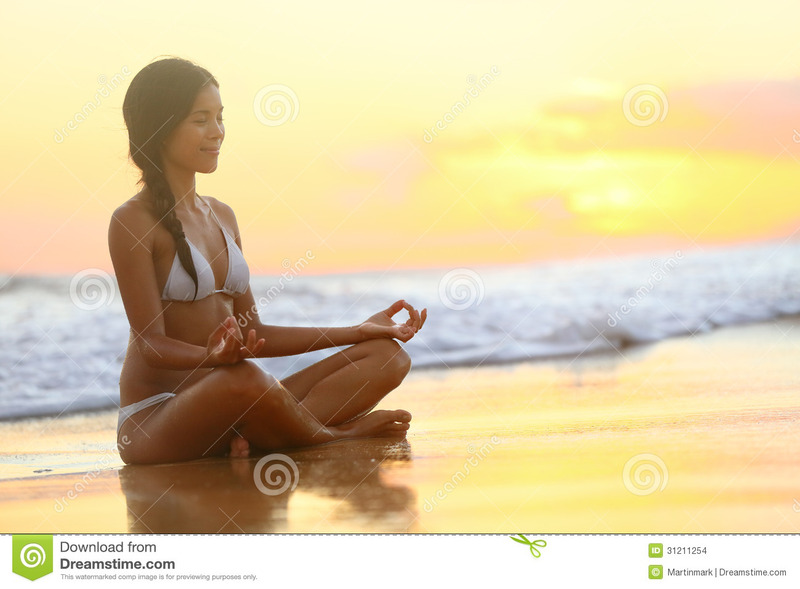 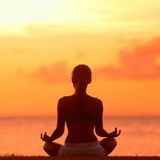 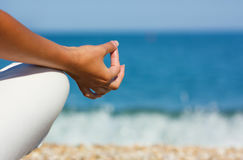 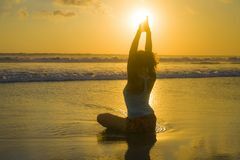 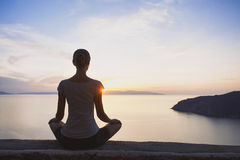 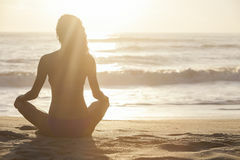 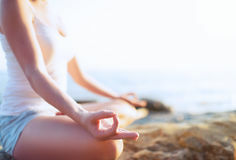 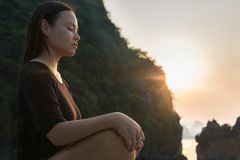 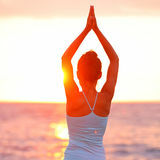 Relaxing and meditation - Yoga woman meditating at serene beach sunset. 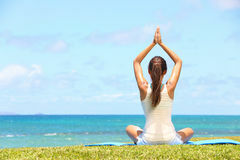 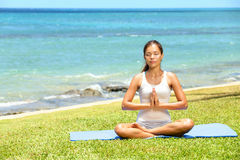 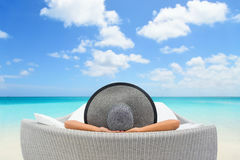 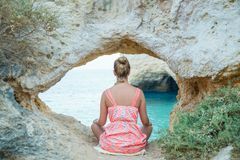 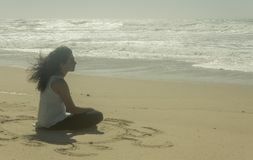 Girl relaxing in lotus pose in calm zen moment in the ocean water during yoga holidays resort retreat. 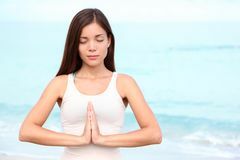 Multiracial girl.